MANILA, June 21 -- President Rodrigo Roa Duterte (PRRD) made 21 foreign trips to 18 countries during his first year in office. The President's foreign trips form part of his obligation as Head of State to maintain and strengthen the country's diplomatic and economic ties with other nations. It is customary for the President to cover ASEAN countries, especially with the assumption of the Philippines as Chair of the Association of Southeast Asian Nations (ASEAN) in 2017. President Duterte's first foreign trip was in Vientiane, Laos, where he formally accepted the Philippines' chairmanship of ASEAN in 2017. In his working visit to Jakarta, Indonesia, a trilateral agreement on maritime security was concluded to jointly patrol the Sulu Sea. During his two-day official visit to Hanoi, Vietnam, a six-year action plan focused on combating transnational crime and illegal drug trade was agreed with President Tran Dai Quang. In Brunei, PRRD and Sultan Hassanal Bolkiah discussed the strengthening of the Brunei Darussalam-Indonesia-Malaysia- Philippines East ASEAN Growth Area (BIMP-EAGA) through trade and investment and Halal product certification. President Duterte went to Thailand twice. He first paid his last respects to the late King Bhumibol Adulyadej. He returned to Bangkok to witness the signing of three important agreements in the field of science and technology, agriculture, and tourism, and brought home USD 2-billion worth of investments from Charoen Pokphand (CP) Group. In Malaysia, PRRD met with Prime Minister Najib Razak to tackle a possible joint military and police operations to quell piracy in the Sulu Sea and Abu Sayyaf kidnapping activities. President Duterte and King Norodom Sihamoni witnessed the signing of agreement on cooperation in trade, sports, tourism, and in combating transnational crime during PRRD’s state visit to Phnom Penh, Cambodia. In Singapore, President Duterte held separate meetings with Singaporean President Tony Tan Keng Yam and Prime Minister Lee Hsien Loong to discuss counter-terrorism and combating illegal drug trade and transnational crime. The President and Myanmar President U Htin Kyaw signed a memorandum of understanding (MOU) on food security and agricultural cooperation and discussed the need for law enforcement collaboration to address terrorism, extremism, piracy, and drug trafficking. The President's foreign visits are essential strategic moves to significantly broaden the country's independent foreign policy as the Philippines pushes for stronger integration with its neighbors in the ASEAN region, China, and Japan. The best gauge of these trips is the financial windfall gained by the country. President Duterte’s state visit to China resulted in investments and aid pledges worth billions of dollars. He brought home 13 government agreements and a pledge of USD 24 billion in business deals and public financing. President Duterte went to Tokyo, Japan for a three-day official visit to discuss economic and defense concerns. Japan's USD 9-billion investment and aid package for the Philippines, spread over five years, is the largest amount the Japanese government has committed for a single country. 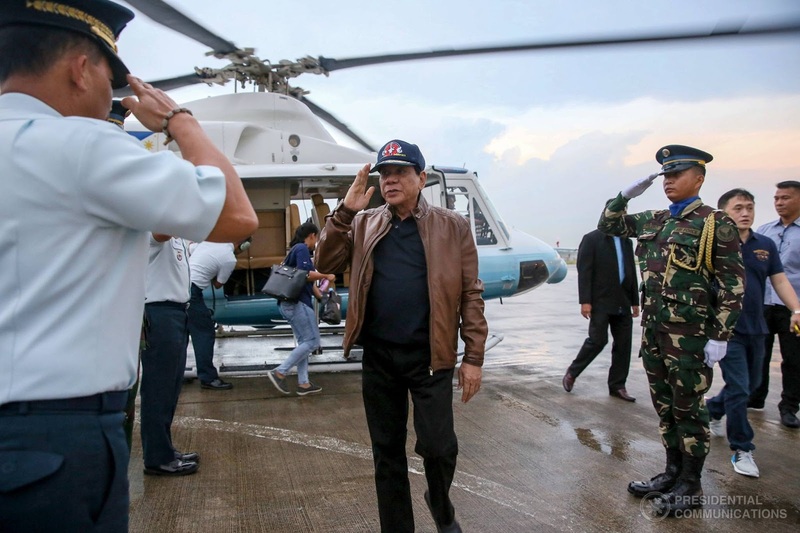 The USD 33 billion raised in these two trips alone is equivalent to spending something like 17 centavos per every PHP1,000 raised in investments and development assistance. Some of the projects under the Duterte Administration’s Build-Build-Build Infrastructure Plan will be funded as a result of the President’s foreign visits. Loans from Japan, for example, will be used for the construction of a subway from North Avenue to FTI Taguig and a high-speed railway from Manila to Clark in Pampanga. Similarly, the President’s Gulf state visits to Saudi Arabia, Bahrain, and Qatar resulted in the signing of more than USD 925-million worth of investment deals. Over and above these, the President’s state visit to Qatar resulted in the implementation of the USD 1-billion investments committed from the Qatar Sovereign Fund. The Philippine-Russia bilateral engagement is still at a nascent stage, and President Duterte's recent visit sent a strong message that the Philippines is out to seek new partnerships and strengthen relations with non-traditional partners such as Russia, as the nation charts an independent foreign policy. Although cut short due to urgent developments at home, the President's visit produced significant results, such as the signing of agreements on defense cooperation, intelligence sharing, agriculture, trade, tourism, culture, foreign affairs, transportation, and the peaceful use of nuclear energy. Some USD 875 million worth of business-to-business deals were also signed during the Russian visit. President Duterte likewise met with the leaders of Turkey and Mongolia who asked the President to sponsor their membership in the ASEAN at the sidelines of the Belt and Road Forum in China. All of these show the productive results of his trips abroad in so far as strengthening and building alliances with other nations are concerned. The importance of trade as an engine of economic development has been highlighted in the President’s participation in the Asia-Pacific Economic Cooperation (APEC) Economic Leaders' Meeting held in Lima, Peru; World Economic Forum (WEF) in Phnom Penh, Cambodia; and the first Belt and Road Forum for International Cooperation in Beijing, China. PRRD has shown that he is not only a crime- and corruption-buster but also an effective economic ambassador. In every foreign visit, the President has always kept in mind the welfare of overseas Filipino workers (OFWs) -- the prime movers of growth in the country. On top of his agenda are meetings with the Filipino communities, as well maintaining cordial relations with the host governments of the millions of OFWs. The phenomenal support received by the President and his delegation from OFWs is something that has not been seen in previous administrations. Since President Duterte took office, thousands of stranded and undocumented OFWs, mostly in the Middle East, have been sent back to the Philippines under the Relief Assistance Program (RAP) of the Overseas Workers Welfare Administration (OWWA). The latest to be repatriated were 138 overseas Filipino workers who were granted amnesty by the Saudi government and whom the President brought with him when he returned to the Philippines from the KSA. With global realities leaning towards protected economies, exportable rebellion and terrorism, and violent extremism, the Duterte administration has begun to play it smart by charting an independent foreign policy, while at the same time strengthening bilateral ties and regional and multilateral cooperation among nations. The benefits, indeed, outweigh the costs as the investments and development assistance underscores the international community's deepening confidence in the Duterte administration. These benefits have further strengthened the country's sound macroeconomic fundamentals, as shown by the stock market reaching an all-time high, stable foreign exchange rates, and soaring business optimism and consumer confidence. At age 72, the President has subjected himself to grueling schedule of foreign travels in his desire to advance the national interests in the global community of nations. The President has covered more areas in his first year in office than any previous presidents. In all of these foreign visits, the President has been ably assisted by Cabinet Secretaries and other officials.